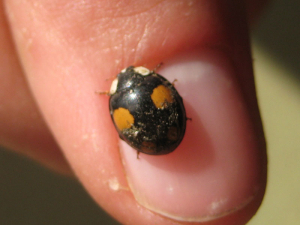 Observation - Harlequin ladybird - UK and Ireland. Description: This flew into the Ranger's cabin and landed on one of the Rangers. This flew into the Ranger's cabin and landed on one of the Rangers.